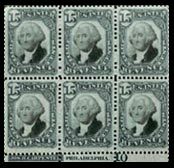 Welcome to the Curtis Collection, a census of U.S. Revenue Documentary, Proprietary, Future Delivery, Stock transfer and Silver Tax stamps. The First Three Documentary Issues and Proprietary Issues RB1 through RB19 are multiples only. 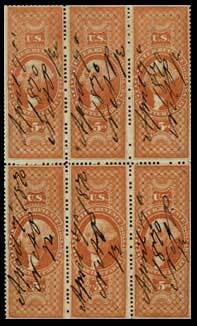 All others include singles as well as multiples. Our site has a variety of different pages to view.  The Home Page shows you how to utilize the census.  The Methodology page briefly outlines criteria and parameters utilized in the census.  The Glossary lists and identifies all abbreviations and acronyms used.  The How to Help the Census pages are the most important as the data presented thus far is only a start. Last but not least is a copy of the original Turner Census from the Daniel F. Kelleher Auction Catalogue of July 17-18, 1980, originally published in 1960. The Turner Census is the genesis of this census- we are deeply appreciative. As of now we are non-profit and are not accepting any paid advertising.